1. 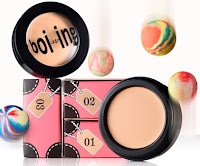 Benefit's Boi-ing Concealer. 'Industrial-strength concealer'. This award-winning concealer camouflages dark circles, minor imperfections and discoloration without creasing or fading. Even better... the industrial-strength formula is now available in FIVE shades, with a full range from light to deep. Now all gals can be imperfection-free. I use 01 (I have fair skin), though I have used 02 (I have 02 in an awesome Lemon-aid/Boi-ing duo for travel). This is a little saviour - spots, imperfections... and dark under eye circles. I blend this gently with my finger-tips before I apply Ooh La Lift. 2. Benefit's Ooh La Lift. 'Instant under-eye brightening boost'. This legendary under-eye brightening boost looks like an instant eyelift! Contains raspberry extracts and light-reflecting pigments to instantly perk up tired eyes. This delicate pink balm can be applied on bare skin or over makeup. I like that this product is cooling/refreshing and illuminating. I apply 3 of so spots under each eye after my wonderful concealor, but before a light sweep of powder. 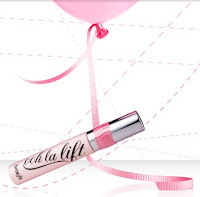 Ooh La Lift hasn't cured anything, but it helps with my dark circles. It's become a part of my everyday routine. How do you battle dark under eye circles and/or puffiness? Comment below!